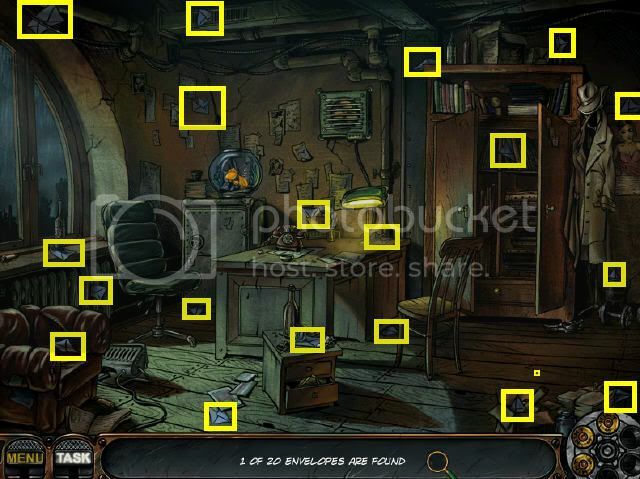 Nick Chase: A Detective Story brings an intriguing real life puzzle solving and hidden object searching game to the iPhone and iPod touch. Like an interactive graphic novel, Nick Chase tells a story of a hard-boiled PI who’s lucky enough to get himself a good paying job, but he must use his detective skills and his knowledge of the crime world to complete the job. The game has a thick film noir style in both graphics and voice dubbing. 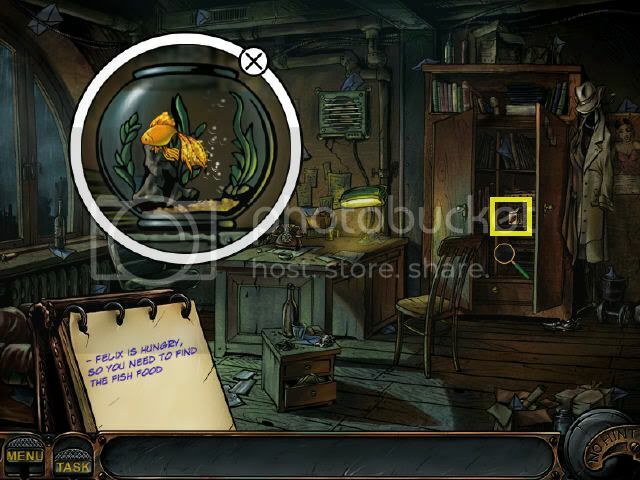 Part of graphic novel, part of hidden objects and part of puzzle solving, Nick Chase: A Detective Story is a different kind of game. It breaks the mold of a genre, yet it doesn’t make you feel like a stranger to the gameplay. You follow our PI to track down a clever criminal who has stolen a valuable manuscript penned by Leonardo Di Vince. Along the way, you will need to search clues, break safes, get through unlocked doors and even search computer data, all by using your keen observation, your street smarts and your connections. You will break into a mob guy’s room at night, climb ladder in a dark ally, and search for a family heirloom for a nice dame you are fond of, all in a day’s work. There are many types of games in the mix including word puzzles, picture puzzles, hidden objects, safe cracking, and more. One nice thing about Nick Chase is that different types of games are all integrated into the story. You never feel they threw in a block memory game just so you can get stuck in the elevator for a little longer. Another interesting aspect of the game is when you go into a new scene the tasks aren’t immediately obvious. Like in real life, when you break into someone’s room in the dark, you don’t always know if there is a safe somewhere or what tools are laying around that you can use to complete the task at hand. The game does a good job at giving you hints in the Task note (the button next to the Menu button), but you often have to figure out how to go about to complete the tasks. None of the puzzles is that hard, but if you need help there are hints available. Throughout the game, you will see bullets for a six shooter lying around. These are the bullets for clues: collect them, put them in your gun (the right bottom corner), and when you shoot the gun, where the bullet struck shows the clue. But there are certain games in Nick Chase that don’t offer clues, like connecting pipes or road games, word puzzle and many more types of games. Luckily if you can’t solve a puzzle, you can just Skip it, an option in the game. The game is long by iPhone/iPod touch adventure game standards, and it doesn’t get boring with so many different types of games. Nick Chase: A Detective Story has a hand drawn graphic novel style graphics. The scenes are well drawn and sharp. Some scenes are dark which fit the story as Nick moves in the cover of the night. Not many scenes have moving objects, but when they do, the movements are smooth. The game uses touch control, and all graphic pieces response well to your touch. Nick Chase has both background music and support for your own iPod music playback during gameplay. The in-game BGM is charming and fits the style of the game. Sound FX is good, but the voice acting is where the game shines. Character voice casting is excellent from Nick, our Humphrey Bogart style PI’s monologue to the butler’s typical accent to the tough-talking policy boss…the scripts were well written and voice acting very convincing. Nick Chase: A Detective Story is a hard game to peg as any typical genre, but a mix of many types of puzzle and adventure games. If you like solving puzzles and like variety, Nick Chase offers plenty of both. If you are a fan of adventure game/interactive graphic novel games, this game packs solid gameplay and has a good length. For those who simply love a Guy Noir, Mike Hammer or any gritty PI story, Nick Chase will fit in right at home. Click on the brush that is on the small dresser that is on the floor and it will go into inventory. Click on the fish tank to get a closer view. Grab the brush from inventory and click it onto the bowl 9 times in order to clean the tank out well. Click on the tall cabinet that is in the back of the room and the doors will open. Grab the fish food that is on the right side and it will go into inventory. Grab the food from inventory and place it on the fish bowl. Click on the bowl again and the pop-up window will disappear. The phone starts ringing, pick it up. The location of the first envelope will be shown to you, the screenshot will show you where the rest are. Pick up the bullets that you find around the scene and you will receive extra hints. 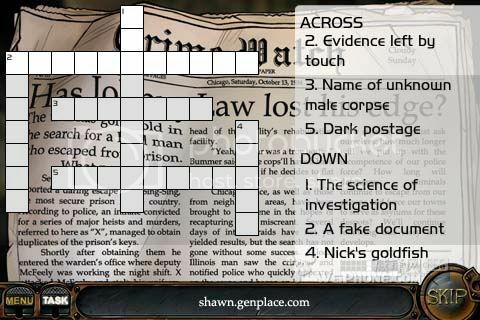 As a matter of fact, The Crossword game in motel is only available at iPod/iPhone version. Anywhere, for those who still cant figure out the answer, kindly refer as below. New landscape design software by Idea Spectrum helps you visualize your landscaping ideas. Create highly realistic, 3D walk-throughs of your proposals and design ideas. Design houses, decks, ground cover, patios, fencing, swimming pools, water gardens, and more. Freely walk around your designs in photo-realistic 3D, complete with lighting, shadows, and flowing water. Photo-based landscape design is also supported. This new landscaping software is easy to use and no CAD experience is required. Realtime Landscaping Pro 3 Demo (Version 3.07 ) is Demo and is 59411000 bytes in size. New landscape design software helps you visualize your landscaping ideas. 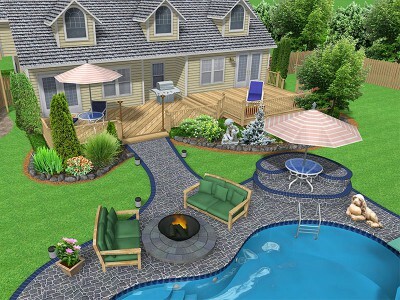 Easily design and visualize your landscaping ideas using this exciting new software. Create highly realistic, 3D walk-throughs of your proposals and design ideas. Design houses, decks, ground cover, patios, fencing, swimming pools, water gardens, and much more. Freely walk around your designs in photo-realistic 3D, complete with lighting, shadows, flowing water - it's like you're really there. No prior CAD experience is required.